With Puny Human Games, I worked on the Half Life 2 total conversion mod Dystopia. Dystopia is a cyberpunk themed class-based first person shooter with dual cyberspace/meatspace gameplay and a strong competitive community. It is created by development team with both amateur and professional developers, and is released to the public for free. 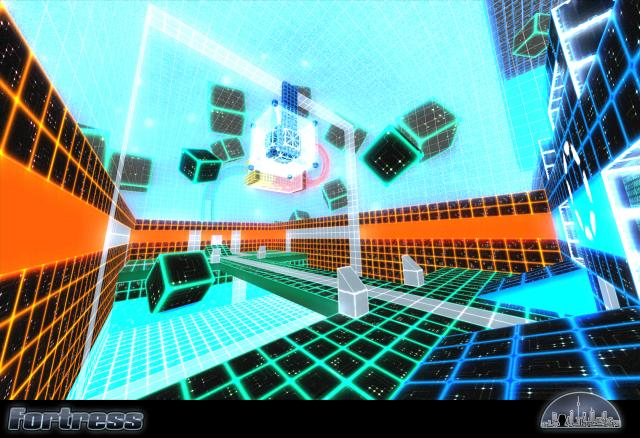 It is a visually stunning game with an abundance of interesting game mechanics. 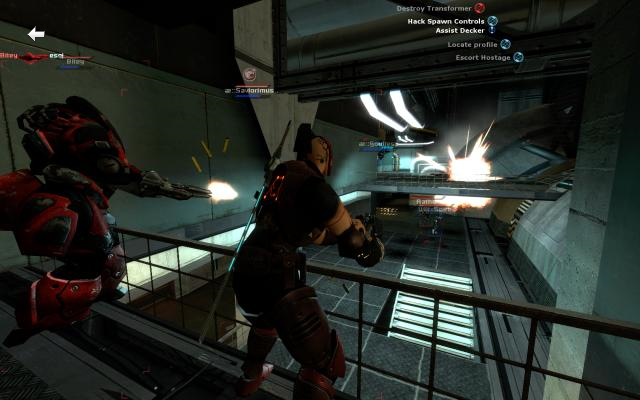 In addition to a modular implant system and integrated global statistic system, Dystopia has a unique dual-layered gameplay, with cyberspace and the real world reacting and interacting with each other. In my last semister at Michigan State University, I worked with Scientifically Proven Entertainment on developing prototypes for SPE’s first title, Man vs. Wild: The Game. It was an amazing experience working with such big names in the industry as Activision veterans Than McClure and Derek Faraci. Working for them has been very insightful into both the AAA development process and the industry in general. MSU worked with Scientifically Proven Entertainment over the Spring ‘10 semester to prototype various potential mini-games in the Man vs. Wild game as part of it’s Game Development Specialization senior design class. Although these were rapid prototypes, an emphasis was put on both visual quality of presentation and on creating intuitive, contextual games. Over the course of the semester MSU has created over 20 prototypes in total, and many made it in almost verbatim into the Xbox 360/PS3/Wii game. We each received a “special thanks” credit on the game. Ca$h Derby is a fun and chaotic multiplayer game created near the end of 2009. It was originally developed for our final project of the year in our game development class at MSU, and I’m very proud of the work that we did on this game. In 4 weeks we built a networked physics-based car game that was a blast to work on is a lot of fun to play. 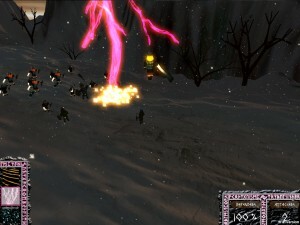 Thor’s Last Stand is a game that I worked on for my game development class at MSU during the Fall 2009 semester. For this assignment we had 4 weeks to design and implement a game from scratch. With this project our group and myself especially decided to be very very ambitious. This was the first time I had done any complex reactionary AI or any multi-tiered AI, and considering our incredibly short deadline, I look back at this project as one of my finer moments in game development. Snow Crash is a game that I worked on at a 48 hour Game Jam hosted by MSU’s Spartasoft student group in about February of 2009. 48 hours is not very long to produce a working game from zero assets and no starting concept, but it is a great way to get your development skills razor sharp. I’m very happy with the end result of the game, and feel like I learned a lot in such a short amount of time. And the game’s a ton of fun to boot! Heroes of Newerth – A DotA-like ARTS with fast, competitive multiplayer action. Dystopia - A cyberpunk Half Life 2 total conversion multiplayer first person shooter. Man vs. Wild: The Game – A MSU/Scientifically Proven collaboration on the AAA title. Number Operator – A program that finds the correct way to add and mul a string of digits. Ca$h Derby – Smash and crash your way to the top in this multiplayer car game. Thor’s Last Stand – Play as Thor wielding the elements to stop an invading army. 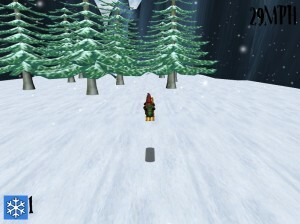 Snow Crash- Sled down a snowy mountain and navigate around obstacles. 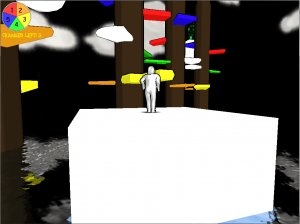 ColorJump – A unique 3d platformer with color as a central theme.